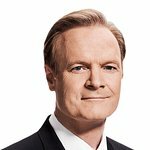 Lawrence O’Donnell is a political analyst, journalist, actor, producer, writer, and host of The Last Word with Lawrence O’Donnell on MSNBC. In 2010 he created The K.I.N.D. fund, which provides students in Malawi with desks and scholarships. Google trends for "Lawrence O'Donnell"
We don't have any videos related to Lawrence O'Donnell.